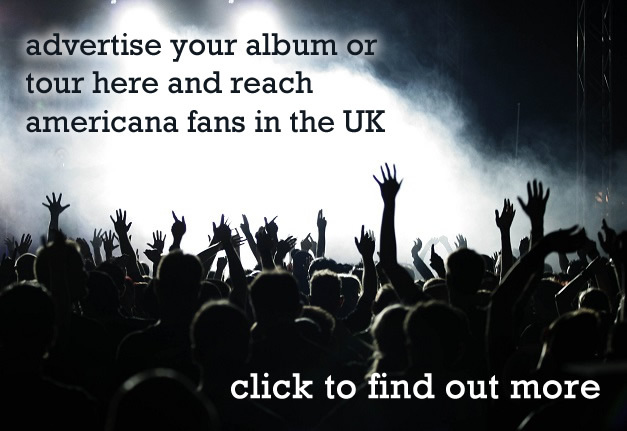 – to see showcase performances from Curse of Lono and JP Harris and the Tough Choices. 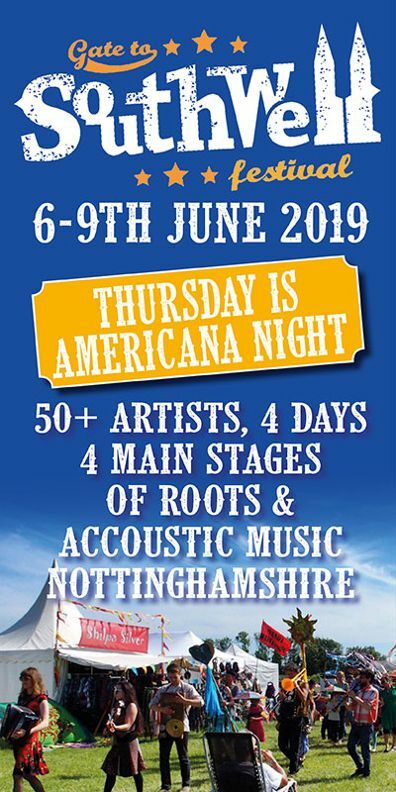 JP Harris is guaranteed to bring the honky tonk over from East Nashville playing tracks from his latest album, ‘Sometimes Dogs Bark At Nothing’ – and the evening kicks off what’s only his second ever tour of the UK. Keynote speakers lined up for the conference next January are Rhiannon Giddens and Ray Benson, bandleader for Western swing band, Asleep at the Wheel. There are 48 acts set to appear across 4 venues over the 2 nights of 29th and 30th of January. 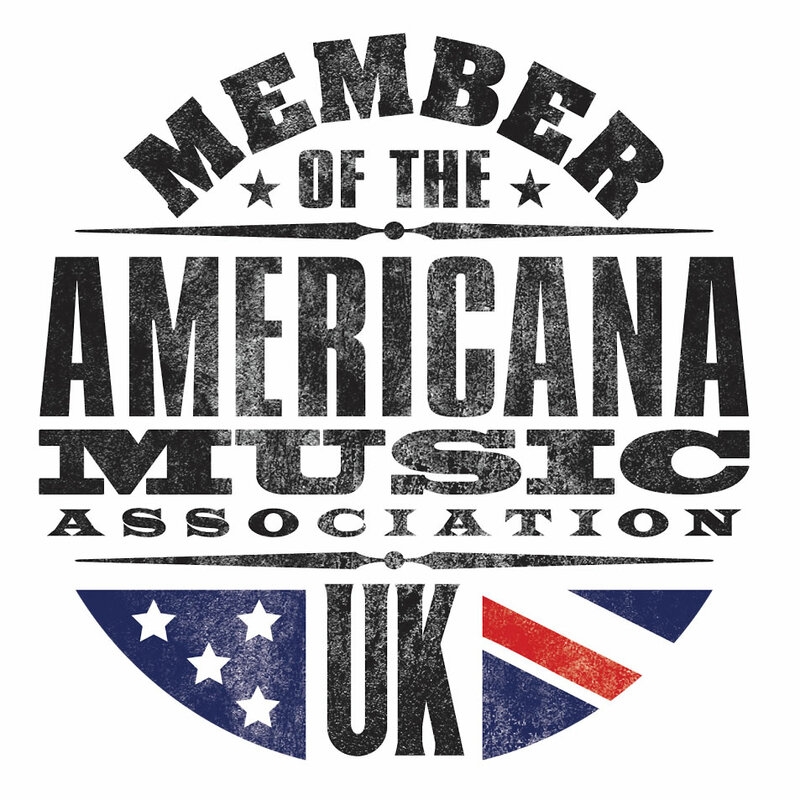 Already announced as officially showcasing at AmericanaFest UK are: Caleb Caudle, Amy Spence, Martha L Healy, The Blue Highways, Lucas and King, Wild Ponies, Birds of Chicago, Jamie Freeman, Police Dog Hogan, Austin Lucas – with news of more acts set to follow. 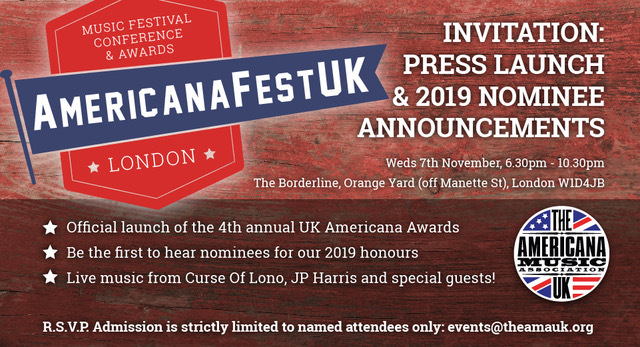 The press launch and award nomination night on the 7th of November will be held at the Borderline, London, and presented by radio and tv presenter, Baylen Leonard, and singer-songwriter, Sunny Ozell.